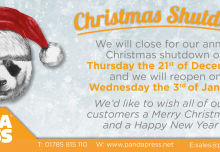 Time to order your corporate Christmas cards online? 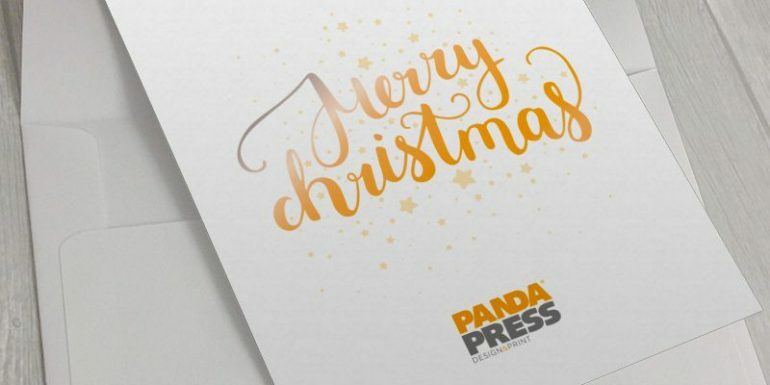 With less than six weeks until Christmas, the kids may have started their lists to Santa and there’ll already be arguments about whether the in-laws are coming for Boxing Day dinner, but have you had time to think about your corporate Christmas cards? 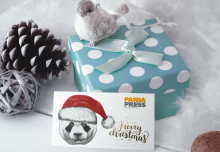 Panda Press can take the stress out of choosing your firm’s Christmas cards and help you wow your customers with our festive designs. 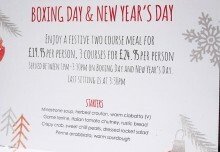 We can provide you with personalised A5 or A6 Christmas cards, from as little as £40, including envelopes. If you wish, you can even show your support for the rather fantastic Alice Charity, an organisation which helps vulnerable and low-income families in the local area. Make a donation at checkout and we will add the charity logo to the back of your cards, as well as donating £5 ourselves. Order online today, choose one of our designs or upload your own artwork, and we’ll take care of the rest. 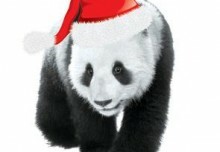 If a secret Santa were to bring you a gift this season, pray it’s waterproof paper!